They replace the old Tinker Kit. All Bricklets in these kits have the new 7-pole connector and a co-processor. All three kits are delivered in a toolbox. The kits are well suited for research institutes and development departments for rapid prototyping and small production runs. The kits will be updated regularly according to the current inventory and with new modules. The Tinker Kit: Ultimate is the biggest set. It contains every Brick and Bricklet from our assortment of building blocks. 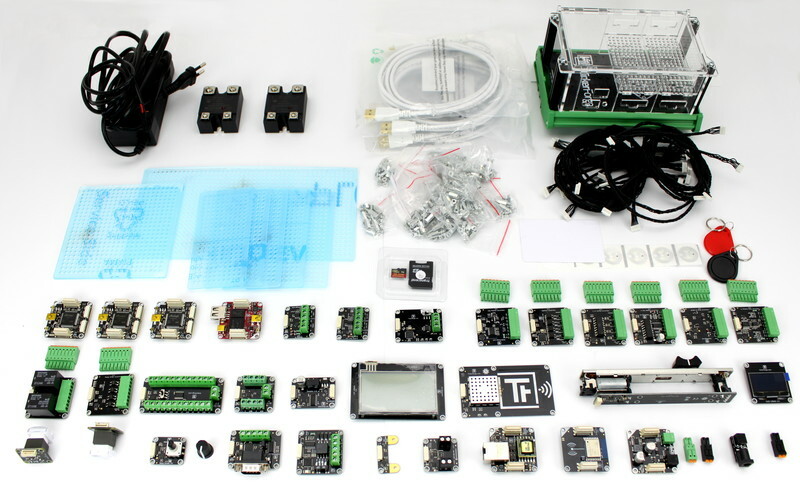 It comes with over 60 different modules and a lot of accessoires including cables, mounting plates, motors and NFC tags. It comes including a professional set of storage boxes. The second new kit is the Tinker Kit: Industrial. 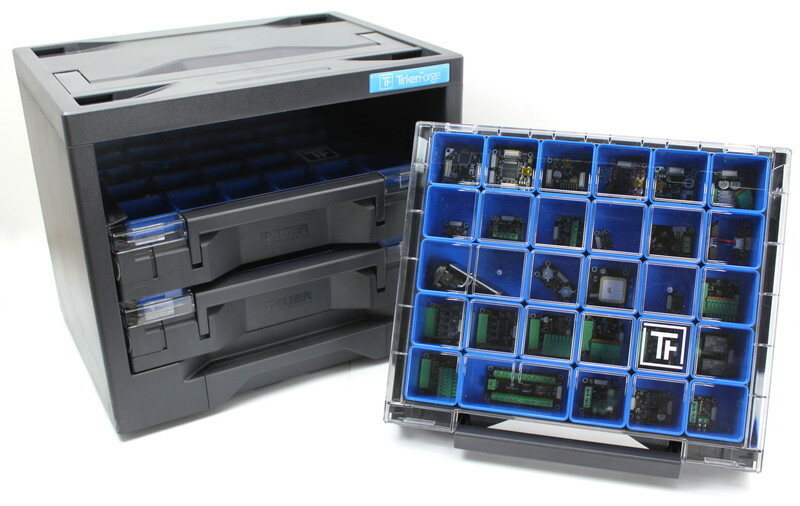 This Kit contains all Industrial Bricklets and the Rail Mounting Case. 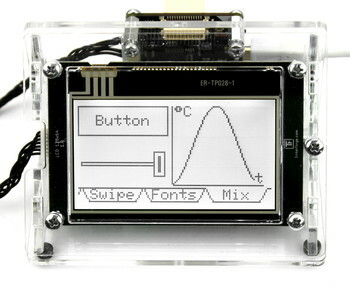 It can be used for prototyping in lots of different industrial applications. The new Tinker Kit: Environment can be used for any kind of environmental measurement applications. It contains a whole assortement of different sensors to measure ambient light, temperature, humidity, barometric pressure, air quality, particulate matter and more. It comes in a single space-saving box.